Investing in rental properties can be a great way to grow your personal wealth well into your retirement years and leave a financial legacy for your children and heirs. Unfortunately, real estate investing also can decimate your personal finances, if you don’t go about it the right way. 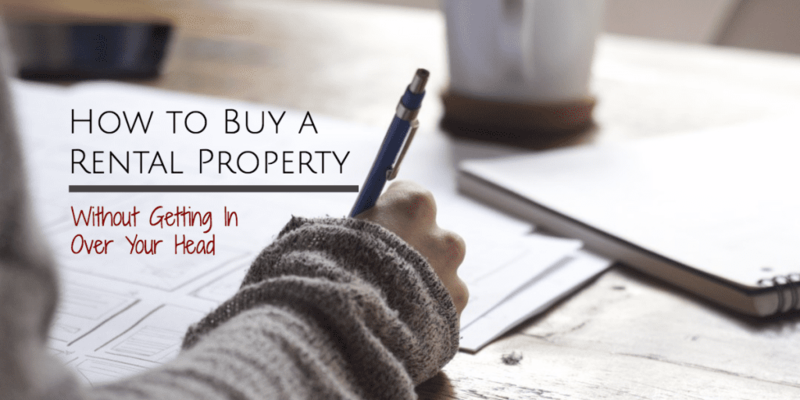 The trick is to know what you are looking for before you start looking for your first rental property, and find the best potential investments. With that in mind, here are a few critical pointers to help you buy a rental property without getting in over your head. Your investment property has to be a good fit for you. That means it is a property that plays to your strengths and few, if any, of your weaknesses. If you have carpentry skills, are good at painting houses, and doing general light repairs, buying a rental property in need of minor repairs might be a good idea. And if you know vendors who are particularly skilled and will give you a good rate, that helps you to know which properties you find will be good fit for you and your budget. On the other hand, if you aren’t adept at basic repairs, don’t know local vendors, and mostly are skilled at numbers, you will need a property that needs little or no repairs. The idea is to buy properties that play to your strengths, while avoiding those that do not. Doing so will help to keep your initial investment cost and ongoing expenses throughout your ownership of a rental property as low as possible. To succeed in real estate, you need to know your markets, operating costs, and potential profit margins on the properties in which you invest. You can’t just buy a property and expect to make money off the rental income. You will need to maintain, repair and manage the property, and that can be a full-time job for one or more people. You also have insurance, taxes, and other recurring costs that affect your profit margins, and you have to know what they are before you invest in a property. Such costs can vary by market, and even by neighborhood. You’ll have to study your markets for occupancy rates, economic stability, taxes, and other costs that will impact your profit margins. A good rule of thumb is to aim for an about 10 percent profit margin from your rental property to ensure long-term profitability, but even a 6 percent gain during your first year will get you off to a good start. You want your profit margins to be as large as possible on your rental property, and there is no better way to ensure maximum profit potential than by paying off any debts you incur as soon as possible. The faster you can pay off the mortgage on your rental property, the sooner you can maximize your cash flow and focus on buying more rental properties to build your real estate portfolio. Another option is to leverage the experience of established real estate investors. For example, turnkey real estate investing is growing in popularity because you can often earn great returns, with less risk and invest in a more passive manner. Click here if you would like more information on investing in turnkey rental properties.